10 reasons Why Noble Manhattan Coaching is the Best…. 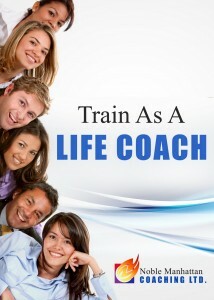 Train as a Life, Executive or Corporate Coach with Noble Manhattan, Europe’s number ONE coach training company! Founded in 1993, NMC Ltd is the longest established coach training company in Europe. It’s reputation for creating superb coaches is second to none. An international company with a heart, students are truly welcomed into the Noble Manhattan family. Noble Manhattan coaching has trained in excess of 25,000 professional life coaches and executive coaches worldwide. The founder of Noble Manhattan, Mr. Gerard O’Donovan, is an internationally acclaimed authority in coaching discipline. He is a top coach, motivational speaker, consultant, writer and trainer. Noble Manhattan offers coach training at two levels – Diploma and Certificate. The Diploma level, which includes 360 hours of blended learning, offers an internationally recognized License to trade as a qualified coach – Life Coach or Corporate Coach. The Certificate level is a shorter training offering a great way to be introduced to fundamental coaching skills and their application in the work place. From April 2013 the Certificate level program is offered entirely in Bulgarian language.